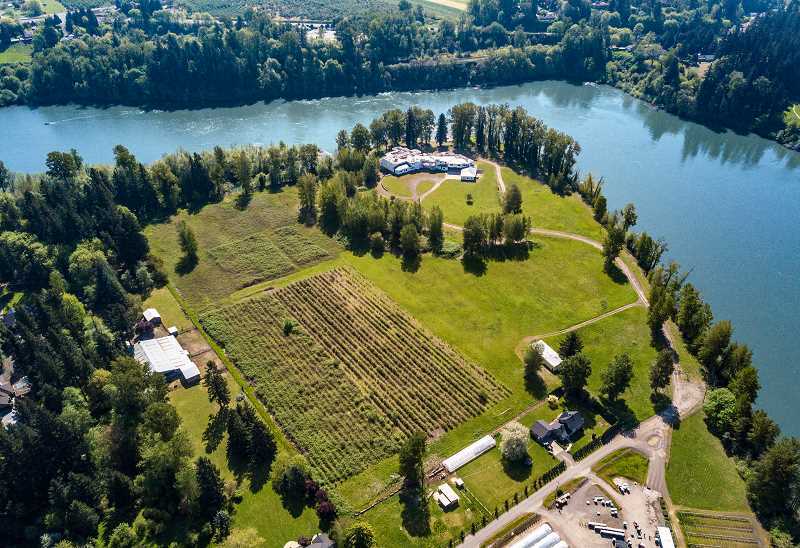 Hollywood Video founder and business mogul Mark Wattles once dreamed of a family home on 32 acres of beautiful farmland wedged between West Linn and Wilsonville, where he would enjoy 270-degree views of the Willamette River and 2,700 feet of water frontage. More than 20 years later, the dream for that home will finally be realized — but not the way Wattles envisioned it. Last week, the 49,000-square-foot home at 32020 Peach Cove Road, which sat unfinished since 1996, was auctioned off to the highest bidder. The auction — hosted at The Nines Hotel in downtown Portland by Platinum Luxury Auctions of Miami and Luxe Platinum Properties of Lake Oswego — was attended by 10 bidders, two remotely by power of attorney, according to Platinum Luxury Auctions CEO and founder Trayor Lesnock. "The winning bidder intends to use the property for residence. That was his initial comment, that he was going to finish it, primary or not. He and his wife are out of the state of Washington," Lesnock said. "The price was essentially within the range of our expectation. We always have a range, but it's difficult to put a thumb on the price until it actually sells." The Clackamas County Assessor's Office values the property at $6.6 million. According to Lesnock, the sale price and identity of the buyer won't be released until 30 days after the finalization of the sale in the multiple listing service and Clackamas County Recorder's Office. Wattles did not attend the auction; however, he did meet the buyers afterward for dinner at Departure Restaurant and Lounge. "Mark was very plugged in. He's a very intelligent guy and was asking the right questions throughout the process," Lesnock said. "He was on the property site for the auction and was gracious enough to have dinner with the buyer after the auction, which is pretty rare. Usually this is a very private thing. Most folks like to retreat back to their private world no matter how great or not great the auction went. There was a lot of camaraderie all around."